HydraShred Tablets feature Dual Release Technology, which simply means that each and every single tablet has two parts: instant release and 6-hour time release. This way you're effectively getting the actives released throughout your body throughout the day. This differs from the HydraShred Powder which hits immediately. Featuring premium dosages of Garcinia Cambogia extract, 6 different types of caffeine, DMHA, Grains of Paradise, Acetyl-L-Carnitine, Banaba Leaf, L-Carnitine-L-Tartrate, and more, it just doesn’t get better. Burn fat, shape your physique, reduce your appetite, and increase your energy now. L-Carnitine-L-Tartrate (LCLT) plays a vital role in energy metabolism, specifically in the transportation of fatty acids into mitochondria where they can be burned for energy. Studies suggest that LCLT leads to improved performance, testosterone support, and overall fat metabolism. Acetyl L-Carnitine is the acetylated form of l-carnitine, which is readily utilized in the Krebs Cycle. The acetyl group is used to form acetyl-CoA, the intermediary of energy from amino acids, carbohydrates, and fats, shown to lower triglycerides. Garcinia Cambogia is a highly publicized supplement, suggested to support healthy weight loss. Garcinia Cambogia contains Hydroxcitric Acid (HCA), which can be shown to support weight loss. Eria Jarensis is the “next big stimulant” out there. Eria Jarensis is a PEA ingredient, functioning as a neuromodulator to stimulate the central nervous system (CNS), improve mood in a therapeutic-boosting way, and provide a multi-faceted stimulant approach in combination with a moderate dosage of caffeine and DMHA. DMHA is the next innovative staple in the accelerated stimulant matrix of HydraShred. DMHA is a revolutionary stimulant engineered to boost energy, focus, while suppressing appetite. Not many stimulants can par up with banned ingredients, but when you combine the power of Eria Jarensis with DMHA, you have an unparalleled stimulant matrix, especially with the dosages presented in HydraShred. Vanillin is a phenolic aldehyde that is the primary component of a vanilla bean. What’s a vanilla extract doing in a fat burner? It’s simple, vanillin is a selective agonist of transient receptor potential vanilloid subtype 1 (TRPV1); TRPV1 agonists are known to increase energy metabolism and induce lipolysis. Banaba Leaf is a potent true full spectrum ingredient that stimulates glucose transport into cells and can help maintain healthy blood sugar levels. Studies suggest that Banaba leaf can support a lean and toned body through appetite and sugar control. Next, we have the 6 Phase Caffeine Matrix. Featuring Caffeine Anhydrous, Dicaffeine Malate, Caffeine (from Green Tea), Yerba Mate Extract, Guarana Extract, and Green Coffee Bean Extract. 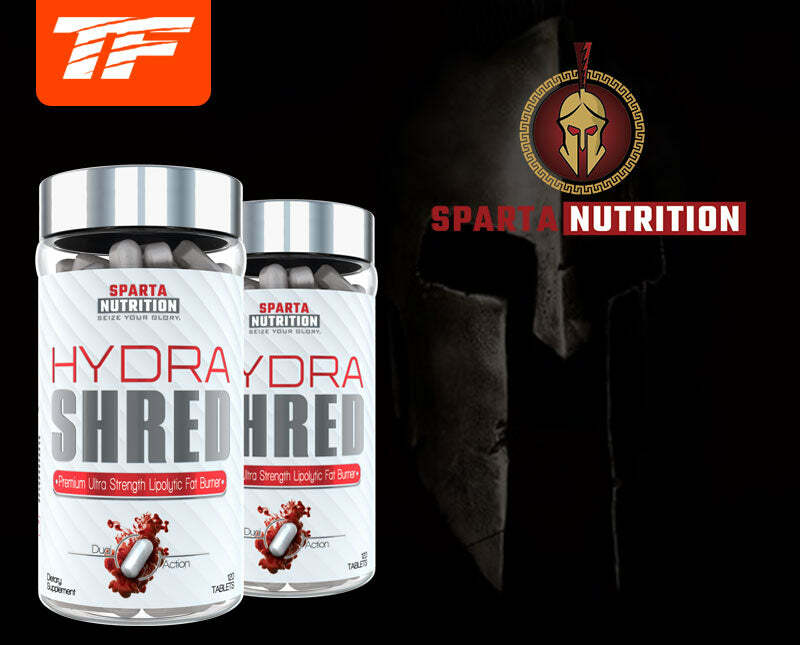 6 forms to hit you in a multitude of ways, bringing the Hydra to HydraShred. INGREDIENTS:Microcrystalline cellulose, calcium carbonate, dicalcium phosphate, croscarmellose sodium, magnesium stearate, silicon dioxide, FD&C Blue #1, FD&C Red #40, and talc. As a dietary supplement, take one to two tablets with breakfast. Take one to two tablets 6 hours later. Do not take more than 4 tablets per day. Do not take for more than 8 weeks without taking 2 weeks off for maximum results. Do not exceed recommended daily intake.